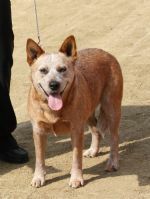 Welcome to our Photo Album of Member's Cattle Dogs. 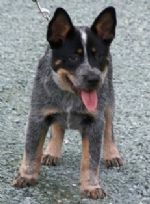 Dewregal PAWS AWHILE - Only a puppy but already I'm working !! 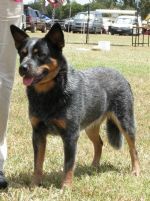 Aust Ch Dewregal Red G 'Reggie' owned by D & G Armstrong, Dewregal ACDs.